Do you have a passion and wonder if it could ever turn into the career of your dreams? 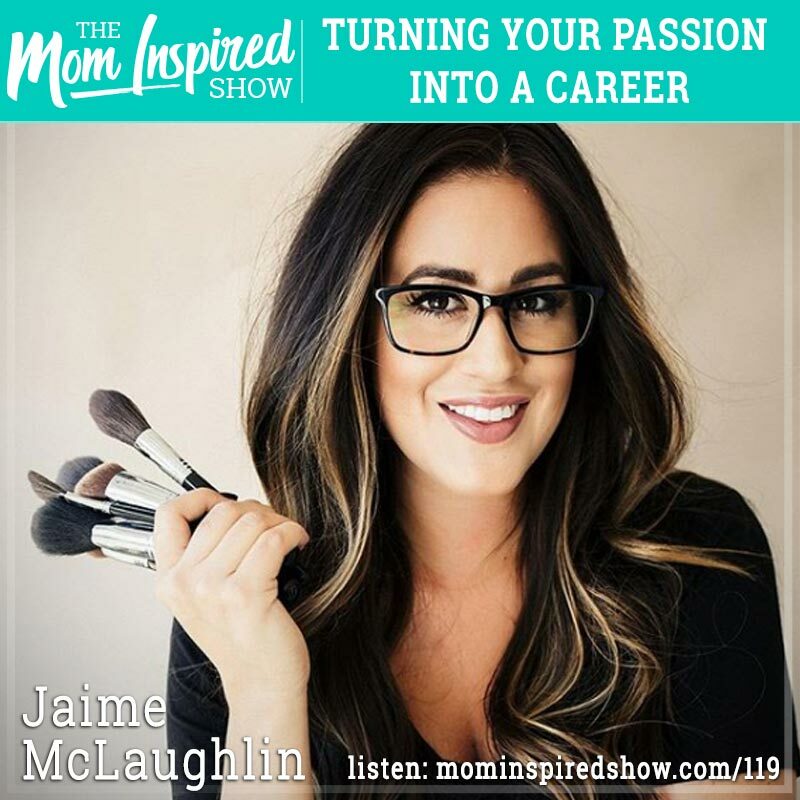 Today we have mom of 4 Jaime McLaughlin on the show and we talk about how she became a make up artist and hair stylist and turned that into a career that could work around her being a mom! She highly encourages moms to make self care a priority and talks about how that looks in different life stages. She is all about being simple and having strategies to boost our confidence while being a mom. She shares with us how she loved being a hair and make up artist but was finding that it was taking her away from her family. So, instead of just letting her dream job go, she decided to make it fit around her life! One thing that really stood out to me is that Jaime has women buying her courses in 22 other countries. Hear what she says about this topic and more on the podcast. Do you want to try Jaime’s course at a special price? Jaime has created an amazing beauty course and is giving the Mom Inspired Show listeners a special discount, it normally is $129 and you guys will be getting it for $97. -Some of the things that I love about it is, you get a special price on her favorite make up brush set. -She shares with us how to blow dry our hair and curl it. -How to apply foundation and concealer correctly and so MUCH MORE!